Tis the season for attending and hosting lots of outdoor barbecues and picnics. Easy salads are a must-have when you gather a group of friends. Why not surprise your friends with something besides the standard potato/macaroni salad that’s usually on the menu? Serve up this Tropical Pineapple-Carrot Salad instead. It’s perfect for a spring picnic or barbeque. Take advantage of the super deal on Hellmann’s Mayonnaise and you can whip this up at a super price. Look for a big coupon in our new Advantage Buy flyer that started over the weekend. 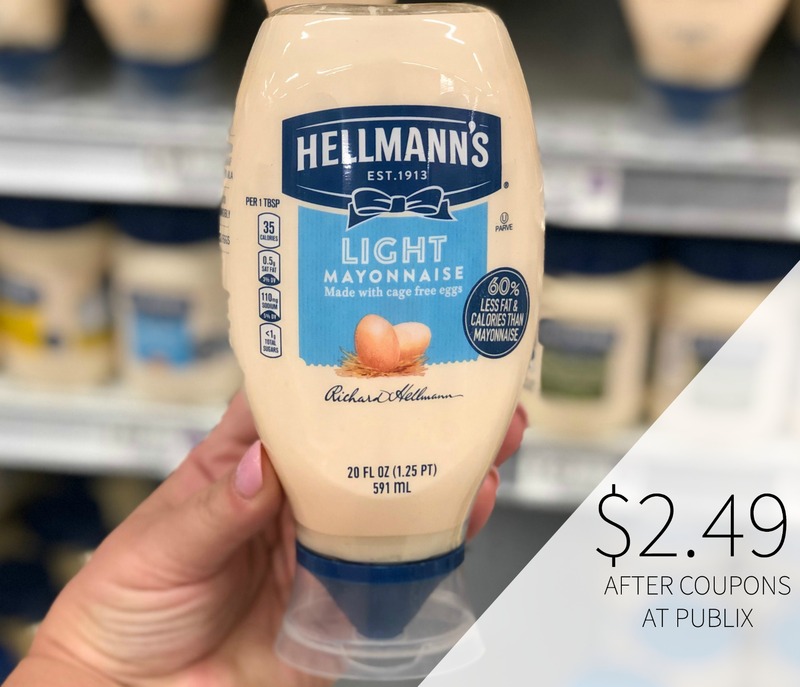 Pair with a manufacturer’s coupon to get a squeeze bottle of Hellmann’s Mayo or a jar of the Organic for half the regular price! Just $2.49 after coupons…half price! 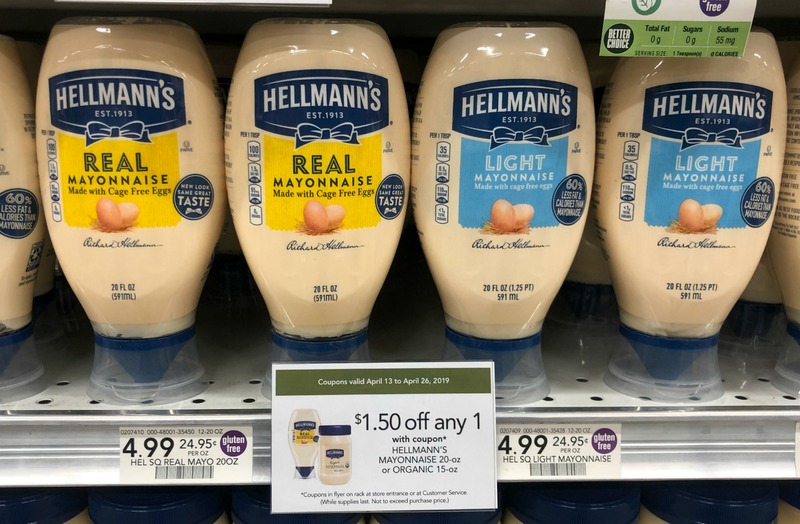 Choose Hellmann’s Real Mayonnaise, Hellmann’s Light Mayonnaise or Hellmann’s Organic Mayo and get big discount now through 4/26 at your local Publix. No matter which you choose, you get the taste you love at a price that’s easy on your wallet. Hellmann’s Real Mayonnaise is America’s #1 Mayonnaise and made with real*, simple ingredients: eggs, oil and vinegar. Plus it’s made with cage-free eggs and is rich in Omega 3-ALA (contains 650 mg ALA per serving, 40% of the 1.6g Daily Value for ALA, 10g fat, and 1.5g saturated fat). It the perfect choice for all your spring/summer salads and of course those big juice burgers! 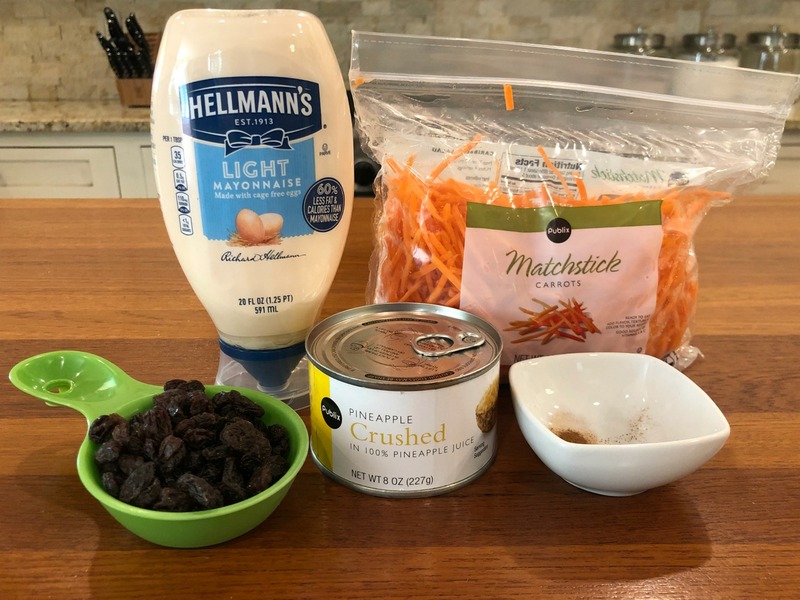 If you are trying to get ready for bathing suit season and looking to reduce fat and/or calories, Hellmann’s Light Mayonnaise is the perfect choice. It has half the calories and fat of the Real mayonnaise, but still has all of the rich, creamy taste you expect from Hellmann’s. It’s also made with 100% certified cage-free eggs and had 3.5 grams of fat per serving and is a good source of Omega 3 ALA. There is also an organic version of the Hellmann’s you love. Enjoy the delicious, creamy taste of Hellmann’s® Mayonnaise in a USDA-certified organic Blue Ribbon recipe! Hellmann’s Organic Mayonnaise is made with only the finest organic ingredients, like organic cage-free eggs & organic expeller-pressed oil, and contains no artificial flavors or preservatives — so you can feel good about serving it to your family. 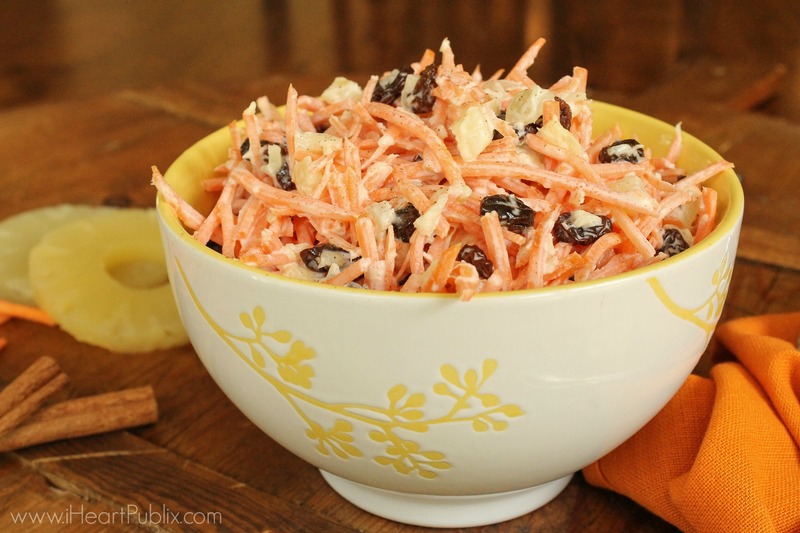 Clip your coupons and head into Publix and pick up a few recipes and give this Tropical Pineapple-Carrot Salad a try for your next gathering. It’s quick, easy and sure to be a crowd favorite. Combine Hellmann's® Light Mayonnaise with cinnamon in medium bowl. Stir in carrots, pineapple and raisins. Chill until ready to serve.